TBILISI, DFWatch–A former Georgian defense minister claims he was the target when shots were fired during an election rally in Gori, a town 60km northwest of Tbilisi, on Sunday. Irakli Okruashvili was meeting voters in the town where he is a candidate for member of parliament in the October 8 election, when someone started shooting in his direction. The outspoken former defense minister was not injured, but one of his security guards and another person were shot in the legs and rushed to hospital. They do not have life-threatening injuries. Okruashvili, who is from a village not far from Gori, claims to know the identity of the shooter, who got away and is still not apprehended. The person he suspects has several prior convictions. The Interior Ministry launched an investigation for premeditated severe damage to health and illegal purchase and possession of a gun. 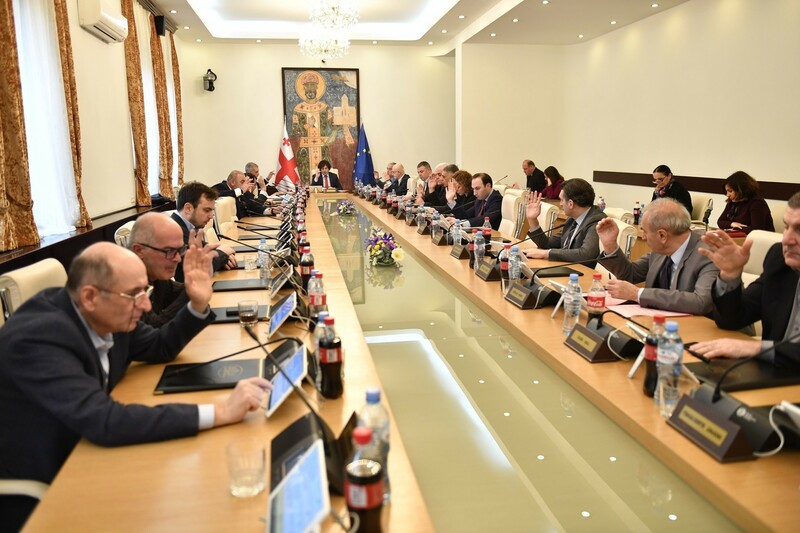 Okruashvili named the people he suspects of the shooting as Eduard Nutsubidze, Aleksandre Induashvili and the brother-in-law of former Energy Minister Kakhi Kaladze. 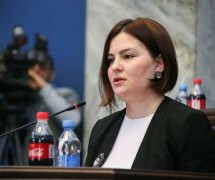 He further claimed that Nutsubidze, who allegedly works for the governing party Georgian Dream, had been trying in vain to disperse the rally since morning. 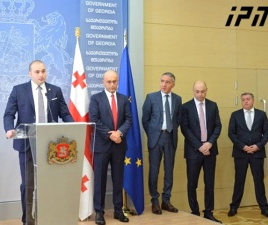 “Finally on the fourth or fifth meeting he brought Aleksandre Indiashivli, who has previously been convicted of robbery, for wounding a person and for illegally carrying a weapon, a well-known criminal in Gori,” Okruashvili said. Irakli Kobakhidze, executive director of Georgian Dream, told Pirveli TV Sunday evening that the shooting didn’t have a political motive but was ‘an ordinary dispute’. 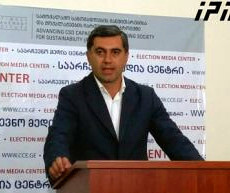 He said that, based on information from the local Georgian Dream headquarter in Gori, Okruashvili had a disagreement with one of the locals during the meeting, and that was what led to the shooting, in which two people were wounded. 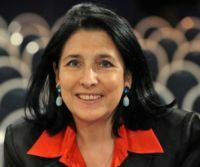 “Even though this incident happened during a political rally, this incident didn’t have a political motive,” Kobakhidze said.